The bosses of the two TV production companies at the centre of a bid to keep BBC Three as a regular TV channel have said they are going to take legal action if the BBC Trust rejects their bid. "the Trust's decision will determine its own future. No one, not the public, nor the wider industry, nor many within the BBC itself, believe that closing the linear channel and moving it online represents value for the licence fee payer, which is the primary purpose of the Trust. If it acquiesces and allows the management to destroy not only a valuable asset but also a unique outlet for new creative talent which speaks to a largely underserved audience, then clearly this trust is not wholly independent from the management and consequently there would be a clear case for a judicial review." Both the BBC Trust and BBC Management (Executive) have dismissed Thoday and Mulville's plans to take over BBC Three. The BBC Trust is currently running a second public consultation following its preliminary decision to agree the changes to BBC Three early next year. There is little evidence that public feedback has influenced the BBC Trust: The only BBC proposal to be rejected by the BBC Trust was the plan to launch BBC One+1, turned down not because of public opinion, but because of pressure and criticism of the proposal from commercial TV companies. 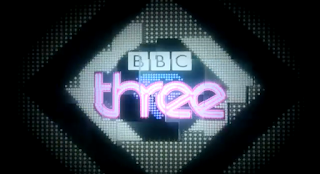 BBC Management have now begun to wind down BBC Three, moving certain programmes and live coverage of events to other BBC outlets ahead of the changes now due in January 2016, which are widely expected to be given the final green light shortly. Meanwhile, recent attempts to get BBC Three viewers to switch to BBC Two on Sunday evenings have resulted in disappointing ratings for BBC Two.